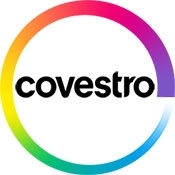 Covestro is a world-leading manufacturer of high-tech polymers and innovative solutions for coatings, adhesives and polyurethane systems for use in a broad range of markets such as transportation, construction, electronics, furniture, sports equipment and textiles. Its products and application solutions are nearly everywhere in modern life. With its innovative strength the company is constantly coming up with new developments which benefit society and the environment.